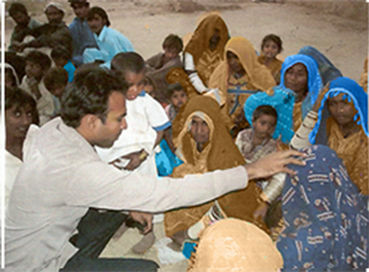 Groups > Persecuted Christians > Discussions > Topic: News from Pastor Sirdar! Topic: News from Pastor Sirdar! I hope you would be fine by the Grace of the Lord. Just letting you know that last week two ministries (Great Gospel Church and Church of the four square Gospel) who held seminar and crusade had invited me to extend translation services into two languages our native ones from English the Pastor Came from Malaysia it was a three day leadership seminar and healing crusade. Do pray that God continue to use me more for his purpose abundantly wherever he wants. How are you sister I hope you would be fine by lords grace, where are you lot of things are happening Lord is doing great things I will let you now everything. He didn't know what horrible shape he was in. Because he wanted to be with one accord. he said, "My child I will not pass you by." he told him to cherish his new given name. I'll always be around to help you stand. for these things come to help us grow! Remember my words and speak it out bit by bit. you can't go without it, if you want to be grand. For someday he will see the Lord face to face. May you have a blessed Christmas full of joy and peaceful tidings. May your spirit be light your heart be filled with good cheer. May the lords presence be with you always! May the lord's blessings always be with you and your family! Peace and Grace in the name of Jesus, our Lord and Savior. Words have great power. There is great power in the word of God.  In today's message we will look at five bible questions and answers which can change lives  your life or the lives of others.  At the Creation, a spiritual hunger was planted in us.  Look at the atheistic ex-Soviet Union now. A Christian scholar-historian friend told me that, in his opinion, the greatest miracle of the 20th century was the survival of the Russian Orthodox Church. Russians simply never lost their innate hunger for God, despite the Soviet oppression of the church.  I recall how, as a nine- and ten-year-old in Virginia, I used to go with a friend to Monday night church services. On my own, voluntarily, simply because I had a hunger for God built in by the Lord.  Virtually every culture in history has had deities.  The fall of Adam and Eve left a void and a hunger for God.  The context of the question was not theological, but deliverance from death. Quite simply, the jailer feared for his life.  Paul replied, not superficially, but at the most profound level.  Deliverance from sin and its consequences.  Deliverance from sickness and infirmities.  Deliverance from Hell to Heaven.  Deliverance from death to eternal life.  The world seeks the proverbial Fountain of Youth.  Paul replied  Jesus offers the fountain of LIFE!  Its not enough simply to be saved and going to heaven. Acts 19:1-2, 6 ...There he found some disciples  and asked them, Did you receive the Holy Spirit when you believed? They answered, No, we have not even heard that there is a Holy Spirit. ... When Paul placed his hands on them, the Holy Spirit came on them, and they spoke in tongues and prophesied.  Curiously, some Christians are offended by this thoroughly biblical question. They reply (erroneously, sad to say), "Yes, I received all of the Holy Spirit I'll ever need when I got saved."  Paul considered them disciples of the Lord (vs. 1). They had believed (vs. 2) and been baptized (vs. 3). These were Christians in every sense of the word.  Paul asked these Christians a valid question (valid then, and valid today!)  Have you believing, baptized, Christian disciples been filled with the Spirit?  They had not. So Paul laid his hands on them, and they did receive the baptism with the Holy Spirit (as in Acts 2:1-4 and Acts 10:44-47) and "spoke in tongues" (vs. 6).  Dont be ashamed of being an Acts 2 Pentecostal. Peter and the other apostles were just such  that is, biblical Pentecostals. Mary the mother of Jesus was, too.  Jesus Himself  named in all four Gospels as the Baptizer with the Holy Spirit  had made them Pentecostals.  Don't hold back for fear of offending Christians.  People with a built-in hunger for God will ask, WHAT shall we DO? Give the full bible answer.  Repent .... be baptized ... receive the baptism with the Holy Spirit.  If YOU give the RIGHT BIBLE ANSWERS to these bible questions, the word of God will change your life eternally!